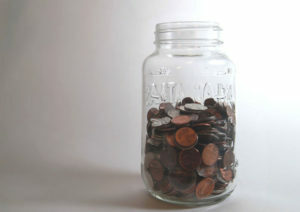 Perhaps some of us, if not all, had a chance to save some coins in small jars or also known as “alkansya*” given by our parents when we were a child. This was a popular practice then to educate and empower children about money management. This particular approach continues to be powerful in instilling discipline to set aside a portion of what you receive so you can have back up funds when you need it. For the child, it would mean being able to buy a toy he saw at the store or his favorite ice cream at a fancy restaurant. Moving forward in time you start thinking, how do you practice this now given the many obligations that we as adults face? Here are some tips you can consider. Work on your budget with specific amounts. Since you know ahead of time how much and when you will receive your income, it is as simple as addition and subtraction. Make a list of your monthly regular expenses, then schedule to spend them according to when you will receive the fund from where you will take it from. Allocating your money though is not limited to expenses. You can also set aside money as your savings. To do this, put it in your list as an “expense” that you do not actually spend. In this way, it is part of what you set aside, but will still be there when you need it for emergency purposes or to fund your future or long-term gials and dreams. If you consider yourself as part of this category, then it must mean that you may be managing more than just your monthly fixed expenses. You are compelled by your circumstances to manage also the “downtime” or otherwise known as the period when you do not earn money but should still spend for your living expenses. You live in a certain kind of lifestyle month after month, and if you plan your daily activities well, you try your best to stick to your set budget. To make sure you have enough for all areas of your daily activities, try working with a budget based on percentages. The percentages will differ depending on your lifestyle and priorities. However, using this method will allow you to easily adjust your numbers depending on how much you receive at a certain period of time. You will now have a system to organize your income source’s erratic schedule. This will guide you as to what areas you need to adjust to depending on what you currently have. Discipline is the key to financial success and freedom. Develop a system you can work with, and be diligent enough to follow it. You will then reach your financial goals faster than you expected.